Note on ordering: If you desire only 1 color, choose this option ONLY. No need to add the “VS option” to your cart. If a 2nd color is desired for the VS logo, Choose your 2nd stitch color for the VS stitch – Add to cart Note on ordering: If you desire only 1 color, choose this Boundary option ONLY. No need to add the additional “VS option” to your cart. When a 2nd color is not chosen, your VS logo will be stitched with your Boundary color choice. Example: Choose an AQUA color for Boundary stitch. No choice for VS stitch. Result: Boundary and VS stitch in AQUA. Neon Color Note: Choose from 22 new Cradle colors. However, 5 colors are labeled NEON. They glow in Black light. Glow in your fav colors at your fav events, such as EDC, concerts or just clubbing. 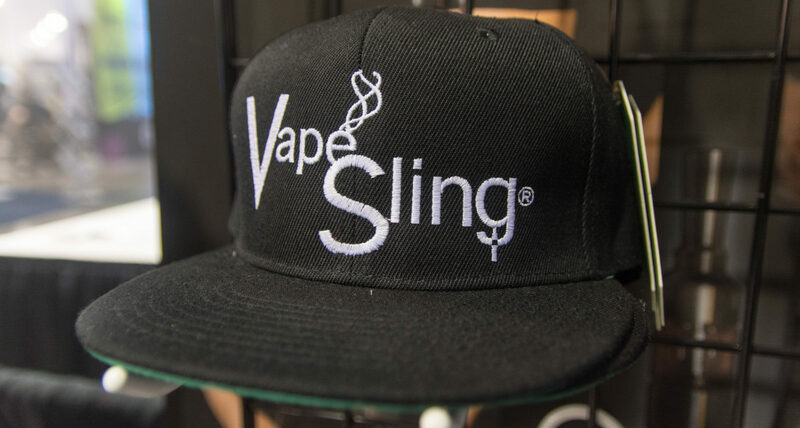 The cradle is proprietary Canvas made by VapeSling® with our patent pending concept of Vape Holding. Holding better than 70lbs, this tough and beautifully embroidered cradle is guaranteed to hold your Mod forever.